Instantly transform your home with projection lighting featuring bursts of vivid colour and sound effects. LightShow Projection Fireworks creates magical holiday lighting on indoor or outdoor surfaces, including exterior or interior walls, living spaces, front doors and porches, garage doors, fences, trees and shrubs. Update your holiday decorations quickly and easily with beautiful LED projection lighting. Add instant holiday dicor with projection lighting featuring whirling, white snowflakes. Creates a magical holiday decoration on indoor or outdoor surfaces, including exterior or interior walls, living spaces, front doors and porches, garage doors, fences, trees and shrubs. Update your holiday lighting quickly and easily with beautiful LED projection lighting. 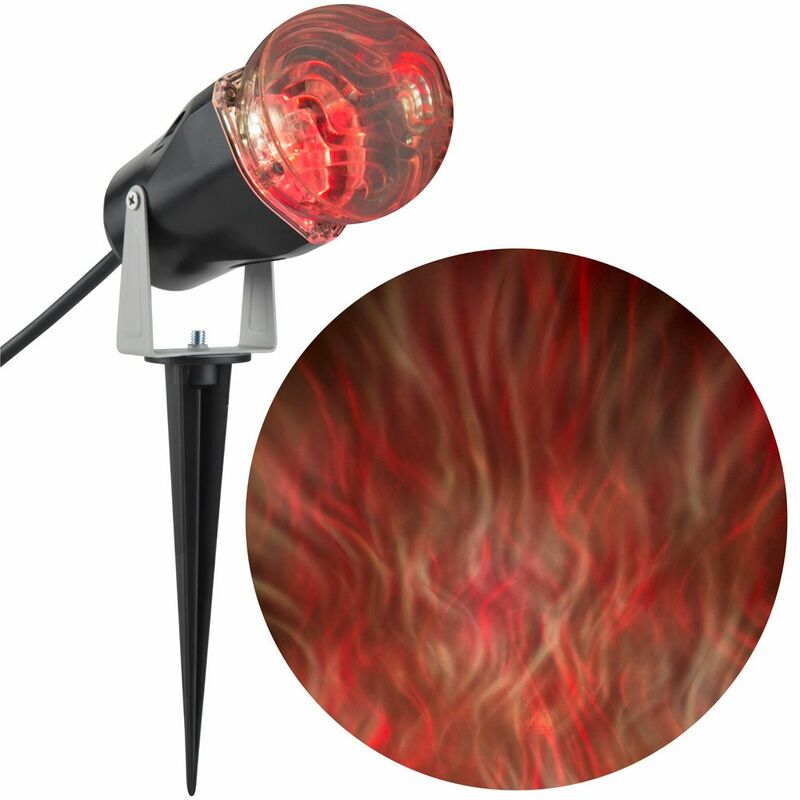 Orange LED Ghost Flame Projector Enhance your outdoor holiday dicor with this color changing "GhostFlame" spot light. The mesmerizing light effect looks great on any surface. Plug it in and enjoy the show!